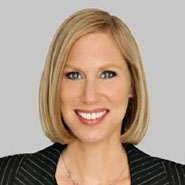 As an experienced hospitality lawyer, Nancy Yaffe contributed legal tips for HR professionals operating hotels in the article "More Legal Tips for Hotel HR Professionals." This article, the second installment in a two-part series, examines tips Nos. 27 through 50, which focus on the areas of class actions, agencies, traditional labor and terminations. One of the tips Nancy offered is that "retaliation is the easiest to claim and the hardest to defend." She added, "they've gone from 10% of all claims to 35% of all claims within the past decade. Be sure to have a strong investigative and review process in place to address complaints." View the entire article in the March 1 issue.